Vacuum pumps are a small but extremely critical part in a much larger vacuum coating process. 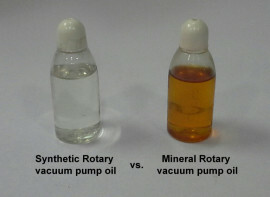 Oils meant for these vacuum pumps need to be very reliable since one doesn’t want unnecessary stops in the vacuum cycle. Apart from giving us the desired vacuum level, these oils should protect and preserve the pump interiors and not form oil sludge. Just a couple of decades ago, finding these qualities in vacuum pump oils would have been impossible by users. Back then, options to using mineral oils were nearly zero. These mineral oils could never deliver consistent vacuum; uniform viscosity levels were missing; oil changes had to be frequent as the oil oxidized pretty frequently; and formation of sludge in the pump was a constant headache for engineers. That was before the advent of synthetic vacuum pump oil. Unlike mineral oils that are derived directly from crude oil, synthetic oils are lubricants with synthetic base stock plus other performance enhancing chemical compounds. 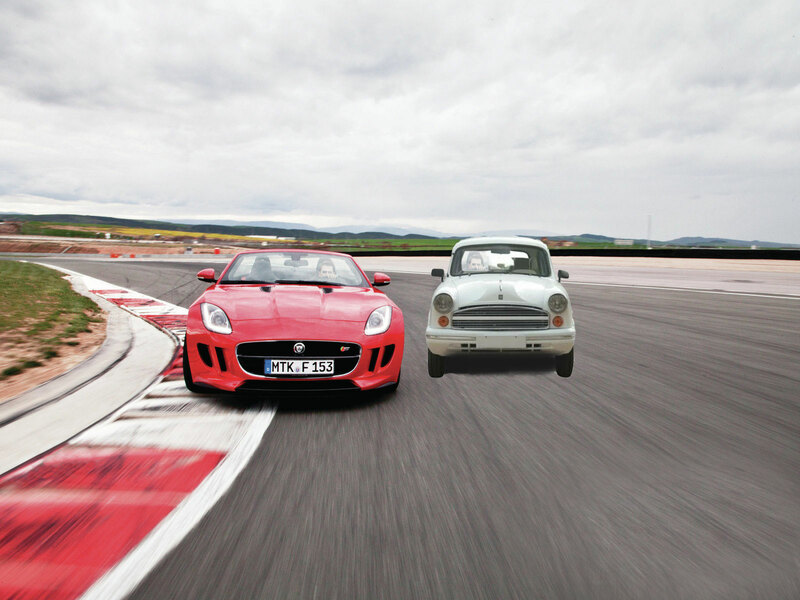 Because of being artificially made, in synthetic oils it becomes possible to tweak certain parameters to better suit the application for which they are manufactured. Just like advent of Silicone Diffusion Pump oils revolutionized the way Diffusion pumps worked (Hard to believe but it is true that about 15 years back all Diffusion Pumps worked on mineral diffusion pump oils). 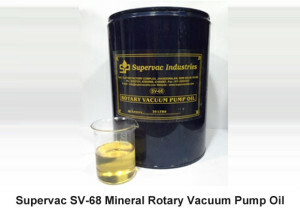 Same way Synthetic Rotary vacuum pump oils are enhancing efficiency of Rotary vacuum pumps to unbelievable levels. 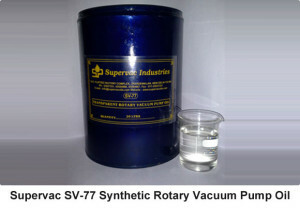 Synthetic oils make it possible for Rotary Pump to reach higher vacuum and faster! These oils make sure that there is hardly any pump maintenance requirements, they last longer and work out more economical and so on. You can easily infer this from table below which compares major properties and characteristics of these oils. 8 Molecules are uniform in shape and size, so minimum intra molecular friction. This imparts better film strength. High intra molecular friction caused by jumbled up molecules. This gives mineral oils lesser film strength. 13 Initial cost of Synthetic oils is about 50% more but since the life of oil is more by about 150%, so it works out to be cheaper. Initial cost is low but comes out costlier on account of less working life. 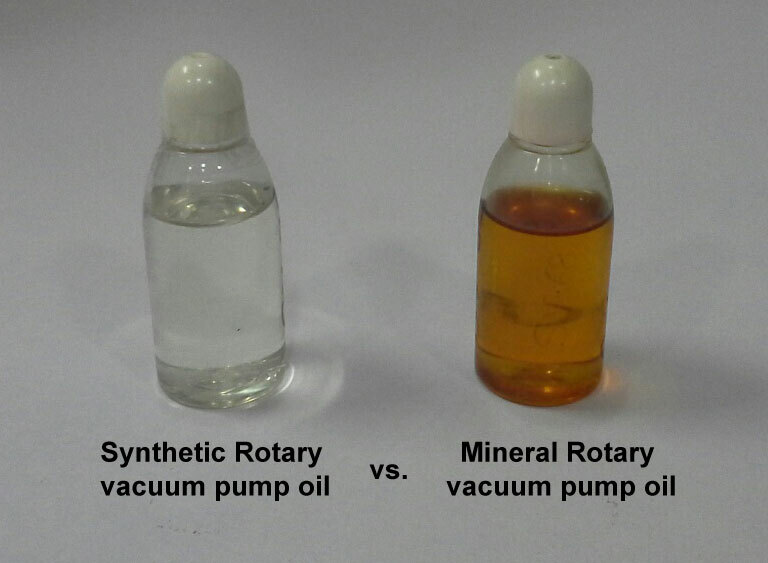 Having compared the two types, one can safely conclude in the end that in rotary vacuum pump oils, the properties of synthetic oil are unbeatable. 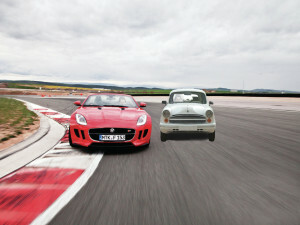 Using mineral vacuum pump oil can serve our purpose too but that is akin to driving an Ambassador car on a race track.